It is common that users accidentally close tabs in need, you can’t help wondering how to restore the closed tabs on Chrome as you have no idea about the closed website in detail. Sometimes, people find it no easy thing to keep the URL in mind or to get the closed window back again. On that occasion, there is much need for you to learn to restore tabs in Chrome. Or if you tend to use other browsers, you may want to reopen closed tabs on Firefox, Opera, Internet Explorer, and Microsoft Edge. How to Quickly Open Recently Closed Tabs? 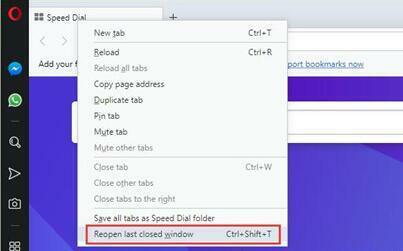 Normally, for some widely used browsers including Google Chrome, Firefox, Safari, Opera, and Microsoft edge, there are mainly two methods to reopen the last closed window on Windows 10. 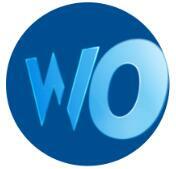 The one refers to using tab options to restore closed tabs Chrome, Firefox, etc. The other one is to open the previous browsing sessions to locate the recently closed webpage or browser window and then get it back. How to Restore Chrome Tabs? Firstly, you are able to open the accidentally closed tab on Google Chrome easily with the following steps. There are two ways available to open the last closed tab in Chrome. Just right click the tab bar on the upper of Chrome and then select Reopen closed tab or Reopen closed window from the menu. Or as you can see, the combination key Ctrl + Shift + T will also help reopen tabs that you’ve closed in Chrome. 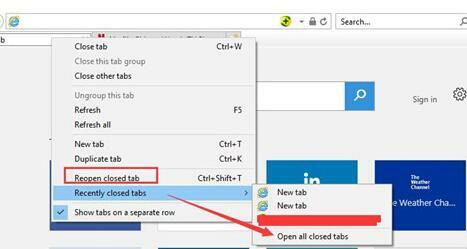 Here if what you want to open is not a tab but recently closed tabs, you are supposed to keep hitting Reopen closed tab to get tabs back in order. By default, unless you go Incognito on Google Chrome, there will browsing history recording the webpages, URLs you have recently visited. So you may as well restore the closed tabs or window from the previous session. It works like a charm if you would rather open a specific website instead of restoring all the tabs. 1. In Google Chrome, hit the three-dot icon on the top right corner and then select History from the list. 2. Then under History, if you hope to restore all the Chrome tabs, choose to click the tabs under Recently closed. It will show you how many tabs you have recently headed to, for instance, here there have been 2 tabs and then 14 tabs opened. 3. 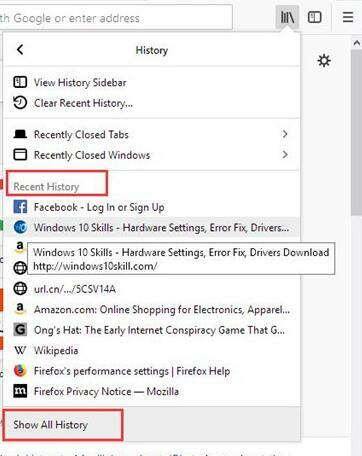 If you feel like re-opening one or more specific webpages, hit History instead. Or you can also press Ctrl + H combination key to restore Chrome previous session. 5. 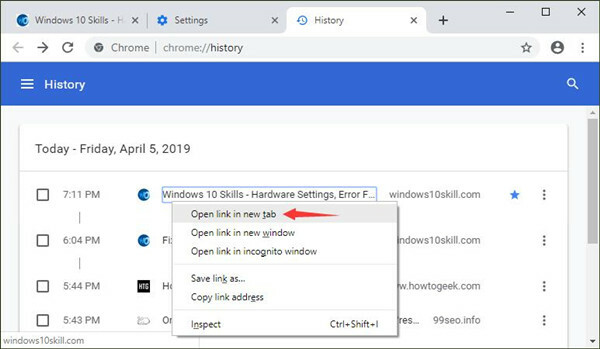 In History, you can see previously closed tabs listing in time order, try to find out and then right click the URL or webpage you would like to re-open to Open link in a new tab. Then you can see the accidentally closed tab has been reopened in a new tab. That is how you can restore the last session in Chrome. How to Open Closed Tabs in Firefox? Similarly, it is also feasible to restore Firefox closed tabs like what you do to get Chrome closed tabs back. 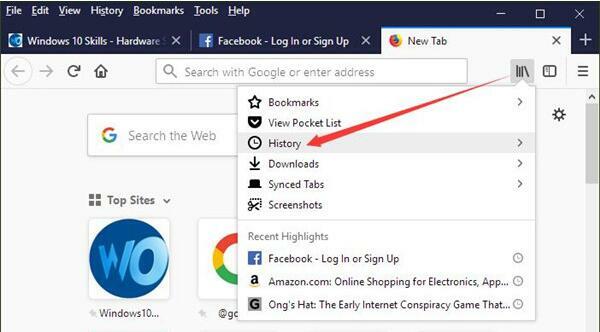 Either from right-click menu or from Firefox history, you can choose to restore recent tabs you’ve closed in Firefox quickly. In Firefox, right click the tab bar and then hit Undo Close Tab to restore the previous session in Firefox. That will elevate the last tabs one by one in order. So here even if you feel like opening a specific site, you have to re-open the previous tabs until the tab you want to show up. But What if you need to open the tabs or window without opening all the tabs recently closed. From Firefox browsing history, you are entitled to locate the specific URL and get it back to Firefox. 1. 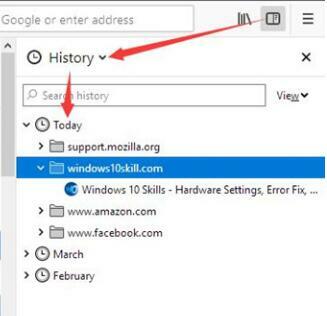 In Firefox, in the top right corner, stroke the bookshelf-like icon and then choose History. Here if you prefer to restore the Downloads page, you can also click Downloads to view the items downloaded. 2. Then under Recent History, pick out the closed tab you want to restore. Here you can decide to Show All History if you failed to pinpoint the webpage. If failed again, you may need to get the searching history on Firefox days or months ago. 3. On Firefox top right corner, hit Show sidebars and then under History, select the recent tabs according to Date. You may have closed the window or tab several days or months ago. Now you are capable of restoring Firefox recent tabs easily. Opening the specific closed window will be possible for you. How to Get Microsoft Edge Recent Tabs Back? As the system browser for Windows 10, Microsoft Edge has also become increasingly popular among users. But many people complained they are unable to open the closed tab in Microsoft Edge. Actually, There do exist ways to re-open pages in Microsoft Edge. Perhaps you just haven’t yet got the hang of how to restore tabs. 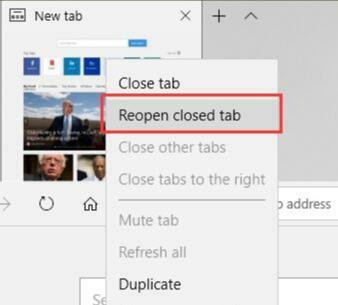 In Microsoft Edge, right click the tab bar to Reopen closed tab. Repeatedly hit option until the tab you want to restore comes up. 1. In Microsoft Edge, on the top right corner, click Hub option and then select History from the list. 2. Then under History, you can notice the presence of the recently closed tabs or windows. Hit it to show it again in Microsoft Edge. It is Foolproof to open closed tabs for Microsoft Edge. But it is up to you now whether to get the pages back or not. How to Reopen Opera Closed Tabs? 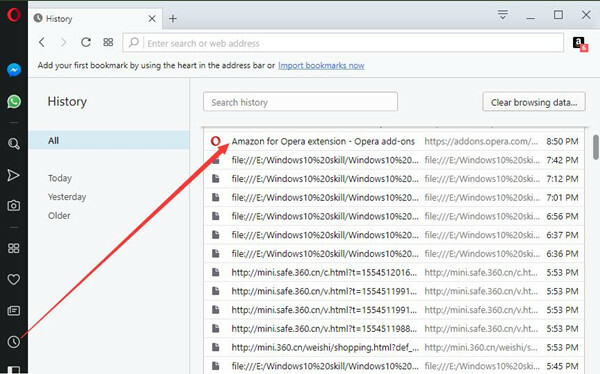 For Opera users, in the same way, you are entitled to use mainly two ways to reopen the closed window for your Opera browser. In Opera, right click the tab bar on the upper-right corner and then keeps clicking Reopen last closed window or keeps pressing Ctrl + Shift + T to get the closed pages open on Opera. But if you would rather a special site coming up instead of opening them one by one, go ahead. You can navigate to a specific site even if it is closed from Opera History settings. 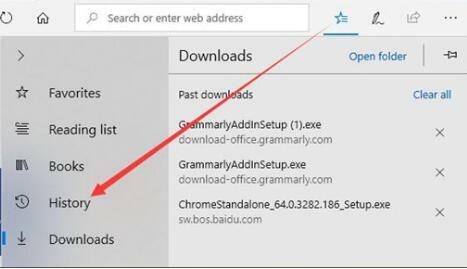 In the Opera browser, on the left pane, click History and then hit the site or page you want. From Opera history, you can restore the previous session as the searching data of Today, Yesterday and Older are all stored here. There is nothing to worry when you accidentally close the pages on Opera. How to Restore Closed Tabs in Internet Explorer? It is also available to open accidentally closed tabs on Internet Explorer. So depending on your case, you would rather re-open all the recent tabs or a tab in need. Open Internet Explorer and then right click the search bar to Reopen closed tab. You click Reopen closed tab for one time, a recent tab will pop up. So if you are unable to open the accidentally closed tab, try to hit this choice for more times. Here you can also determine to Open all closed tabs under Recently closed tabs as you see above. At this moment, you can reopen all closed windows or a special one you need on Internet Explorer. 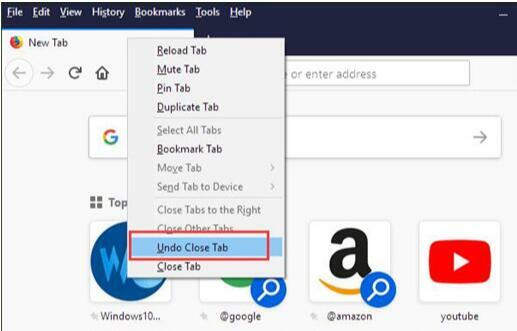 In summary, this post elaborates on how to restore closed tab in Chrome, Firefox, Opera, Microsoft Edge, and Internet Explorer either when you accidentally close it or just want to view it again. How to Disable Hardware Acceleration on Chrome, Microsoft Edge, Firefox?